There have been quite a few video games based on George Lucas’ Star Wars movies, and it looks like this trend has continued since Disney bought the franchise back in 2012. Perhaps the biggest Star Wars game of the Disney era has been Star Wars Battlefront, a third-person action game set during the original trilogy of films, which became a big hit back in 2015. Of course, given Battlefront’s success there was no doubt that Disney and developer DICE would get working on a sequel soon enough, and few were surprised when Star Wars Battlefront II was announced back in May last year. And while this new Star Wars game will feature more of the exciting multiplayer action that made many fall in love with the original back in 2015, many welcomed the fact that this Battlefront sequel will include something quite a few players were wishing for: a single player campaign. 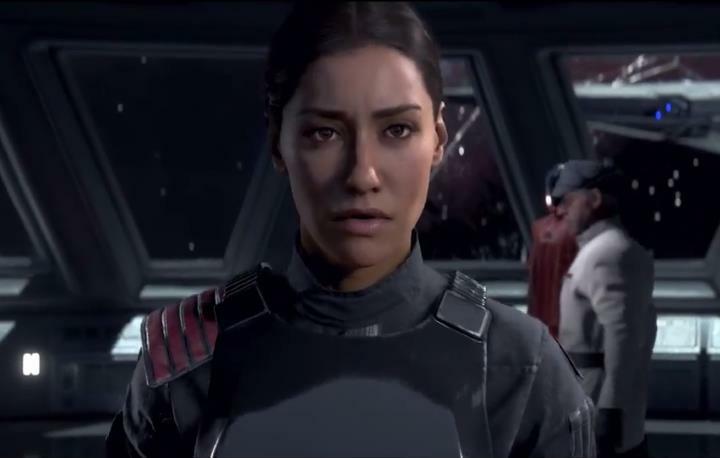 We’ve now got more details about Star Wars Battlefront 2’s single player thanks to a preview video released during Disney’s D23 event, which looks at the game’s story and characters, and in which the motion capture performers also discuss their roles in the game. And this could certainly be an interesting and action-packed original story set in the Star Wars universe, filling in the gaps between the events seen in The Return of the Jedi and J.J. Abrams 2015’s The Force Awakens film. As lead actress Janina Gavankar says in the video, “this is the culmination of all the things that are good in the world. Video games, Star Wars and a team of people who are willing to take the time to do the work”. So, here’s hoping this Star Wars game lives up to the hype, matching the intensity of Star Wars Battlefront’s multiplayer and also delivering a single player experience that will do fans of the franchise proud when it hits shelves in November this year. Note: Star Wars Battlefront II will be released on November 17, 2017. Available on PS4, Xbox One and PC.